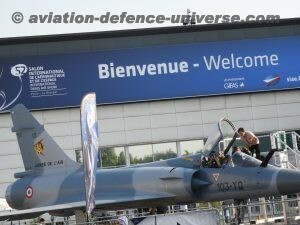 Le Bourget. 25 June 2017. As always it took off in style. 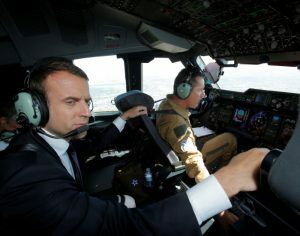 French President Macron flew into the show aboard an Airbus A400M , traditional rivals Boeing and Airbus held back to back announcement briefings in their show of one-upmanship over raining orders, the lesser ones like Bombardier, Embraer and ATR put their fast feet forward to outdo each other in marketing and selling while the static displays had the cynosure of all eyes- the flying car . 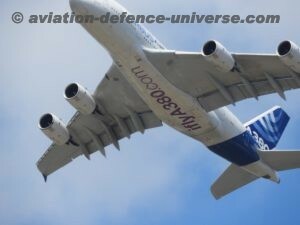 $ 150 billion worth of orders including, 897 orders and purchasing commitments for a catalogue value of 115 billion USD, for a total of 934 commercial aircraft , despite the slight drop in the number of visitors and a steep rise in the temperature made Paris International Airshow the place to be in . 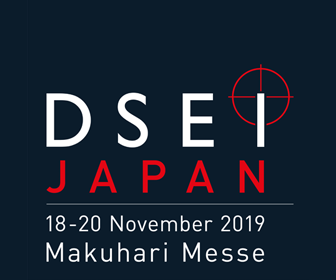 2 381 exhibitors (3% more than in 2015) from 48 countries (the same as in 2015), 322 000 visitors (8% fewer) split between the trade 142 000 visitors (6% fewer than in 2015) and 180 000 visitors (10% fewer than in 2015), all add to the premier performances in the skies. 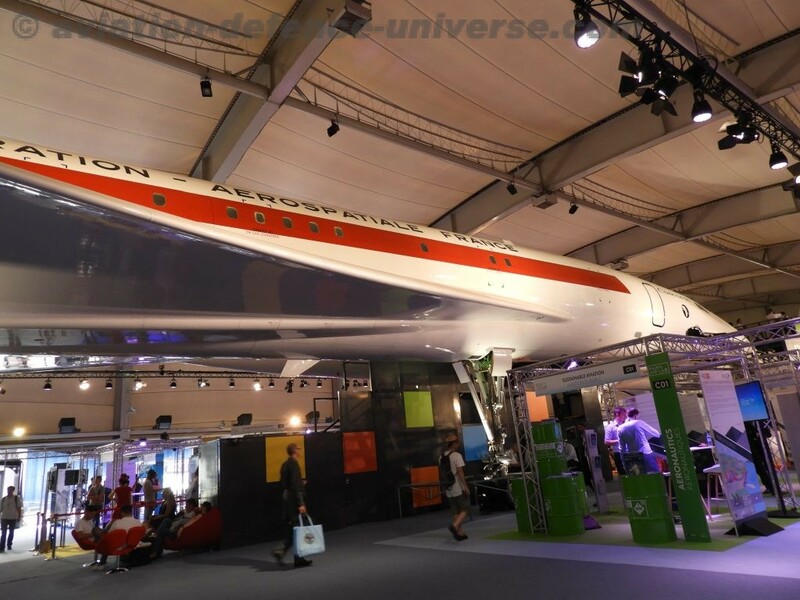 Planes you can park in your garage, satellites that fit in your backpack, car which can fly in the air and supersonic jets of the erstwhile Concord family. It was all about thinking small and innovative ideas, which may change the way we travel, wage wars or explore space. 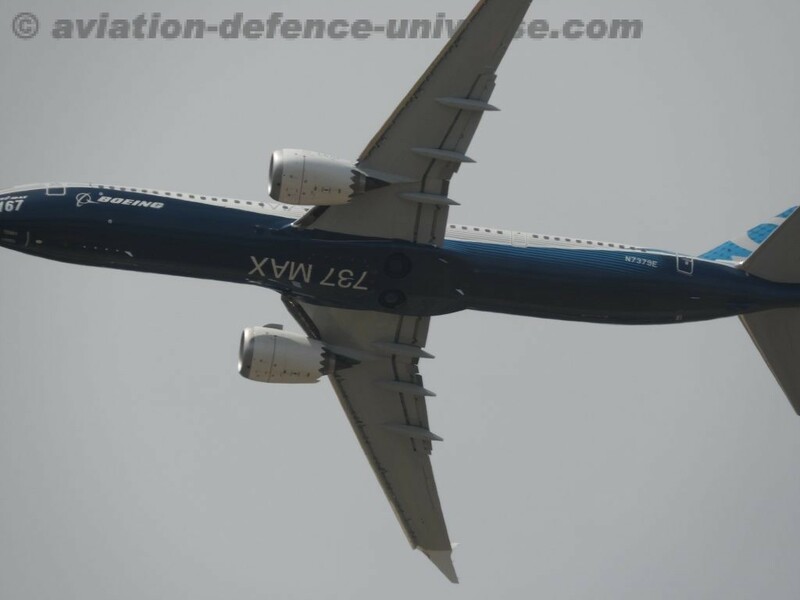 Boeing’s new 737 Max 10, the success story of the show, was on a selling spree with more than 361 orders making Boeing win the sales race against Airbus for the first time since many of the past Paris Air Shows. The set back ofcourse being that majority of them came in the form of order reversals from other variants of the upgraded 737, which meant a decrease in production backlogs. Another attraction was the F-35 whose flying demos in the skies above made every one talk about and the manufacturer Lockheed Martin hopefully waiting for a positive tilt in its market demand. 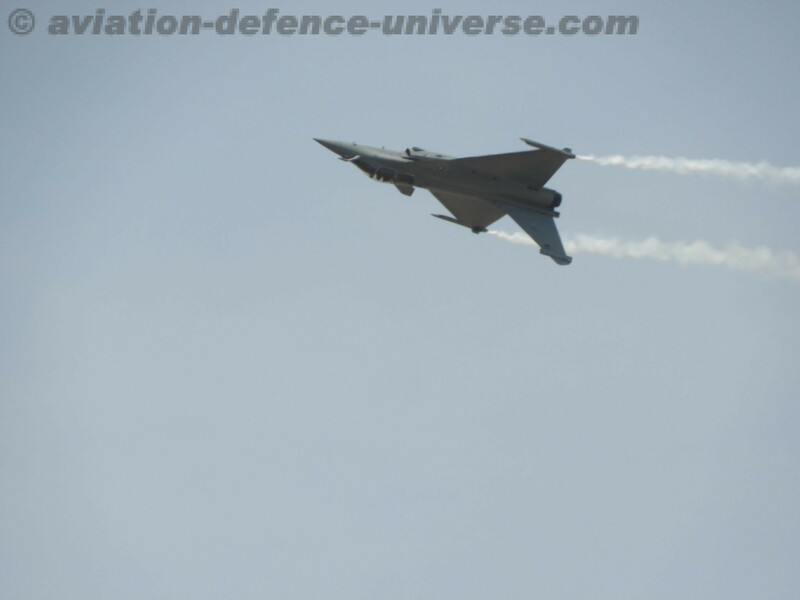 On the home turf the Dassault Rafale fighter jet confidently wowed the teeming crowd. But both actually roared in the skies and one wished if a technology could be developed to lesson this sound created by the fighters be they European or American. 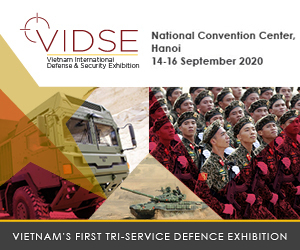 US also showcased F-16 Fighting Falcon, a CH-47 Chinook, an AH-64 Apache, a P-8 Poseidon, a C-130J Super Hercules, and a CV-22 Osprey as a part of its military prowess. 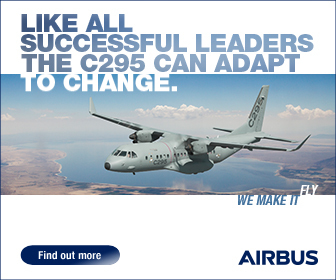 Airbus Defence and Space’s power included the A400M, the C295 and the Eurofighter Typhoon. 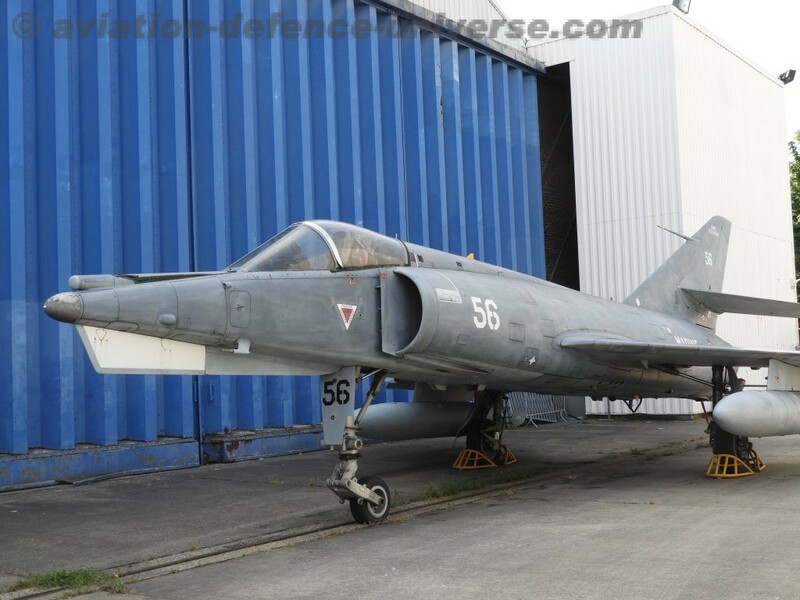 At the other end of the size scale, but every bit as cutting-edge, was the collection of unmanned air systems including the “Harfang”, the DVF 2000 VT Aliaca, the DVF 2000 ER Arrano, and the Quadcruiser. 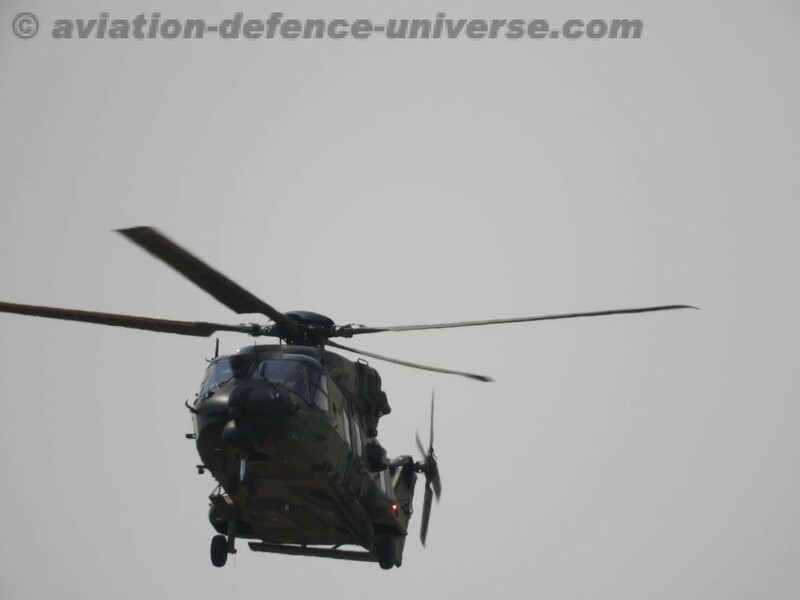 Airbus Helicopters’ line-up on the static display included the H130, the H135 equipped with the Helionix digital avionics suit, the H145M fitted out with HForce and a Tiger helicopter from the French army which also performed in the skies. 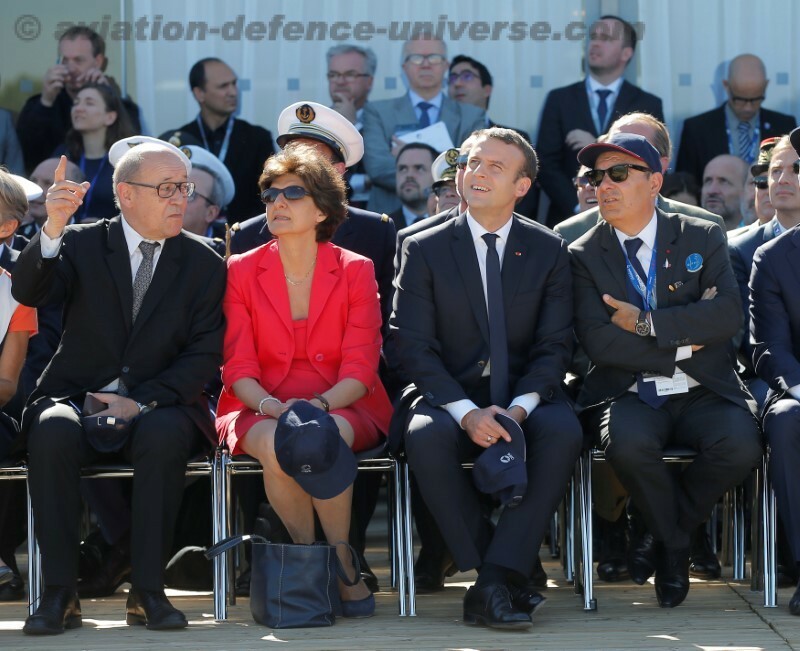 140 aircraft including the Airbus A321neo, Airbus A350-1000, Boeing B787-10, Boeing B737 Max9, Kawasaki P1 maritime patrol aircraft, Mitsubishi MRJ90, Lockheed Martin F-35 fighter plane at Le Bourget for the first time. 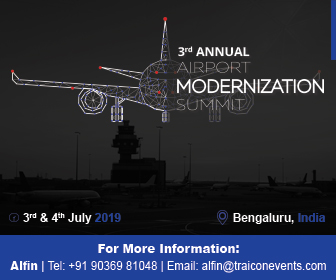 Dassault Aviation’s Rafale and Falcon 8X, the Airbus A380 and A400M, the Airbus Tiger and NH90 Caiman helicopters were popular with the public. From drones to anti-drone systems the unmanned world of flying birds was definitely much talked about and sought after . Boise, Idaho-based firm Black Sage, showcased a drone-zapping gun that is part of an anti-drone system. The proliferation of unmanned aircraft is increasing concerns that terrorists could use drones to attack crowds at sports stadiums and other events. Kratos Defense & Security’s jet-powered Valkyrie model is designed to act as a “wingman” for fighter pilots in aerial battle. Measuring 30 feet long, with a range of more than 3,000 nautical miles and able to cruise close to the speed of sound, it’s due to have its first flight in 2018. The Falco model from Leonardo will take on a first-responder role in arenas such as fire-fighting and humanitarian relief via a partnership with Heli Protection Europe. Elbit Systems launched SkyStriker – a remotely operated electro-optical, precise guided Loitering Munition (LM), designed to seek, locate and engage various targets for the tactical level corps. It is a weapon system category in which the munition loiters around the target area for some time, searches for targets and attacks once a target is acquired. LMs enable faster reaction times against concealed or hidden targets that emerge for short periods, without having to place high-value platforms close to the target area. It also allow more selective targeting, since the attack mission can always be aborted within seconds. Supersonic travel became the talk of the show with Denver-based Boom Technology showcasing the model and assuring to bring a 55-seat Mach 2.2 jet to market by 2023. A scaled down test aircraft is to be built by next year. Airbus’s A3 Silicon Valley explained the details of its proposed Vahana flying taxi. The pilotless, electric-powered helicopter could be hailed like a conventional cab and promises no traffic jams. Inauguration by the President of the Republic Emmanuel Macron on Monday 19 June, visit and speech by Prime Minister Edouard Philippe on Friday 23 June, to mark the opening of the exhibition to the general public, visit by 9 French ministers and Secretaries of State and many French political figures, 290 official delegations from 98 countries and 7 international organizations, including 160 official defence delegations from 86 countries and 4 organizations (NATO, the UN, OCCAR, the EU) including 16 foreign ministers, 40 Chiefs of Staff, 20 deputy ministers or Secretaries of State 110 civilian and institutional bodies with 15 ministers and 14 Directorate General Aviation Authorities or their equivalents gave the show its official look. The Careers Plane exhibition which amalgamated with GIFAS’ Job-Training Forum, enabled 55 000 mainly young visitors to discover forty or so aeronautics and space sector careers through French aerospace group employees. There are immediate recruitment needs for these jobs. 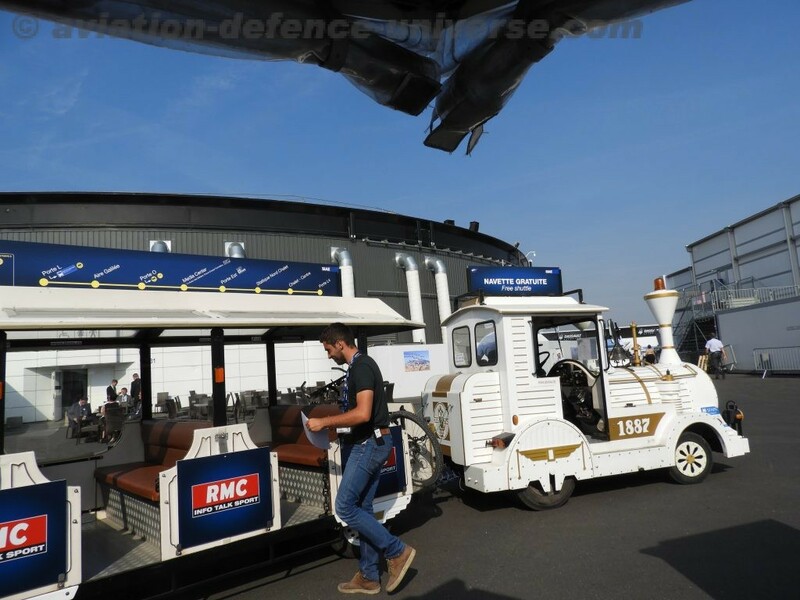 Paris Air Lab, the new attraction that puts the spotlight on the research and innovation efforts of the major groups and institutions such as start-ups, attracted 50 000 visitors. 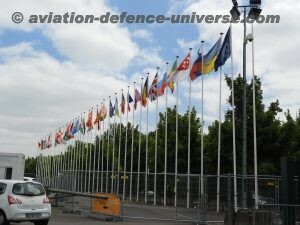 Overall the Paris Air Show 2017 was a good show apart from heat playing spoilt sport and the entry being chaotic on the first two days due to lack of x-ray machines at the main gate, which resulted into serpentine queues to enter the show, especially on Day1 as maximum visitors also had to get their cards made post the security check.